Abraham Lincoln Assassination Pistol Set | BUDK.com - Knives & Swords At The Lowest Prices! 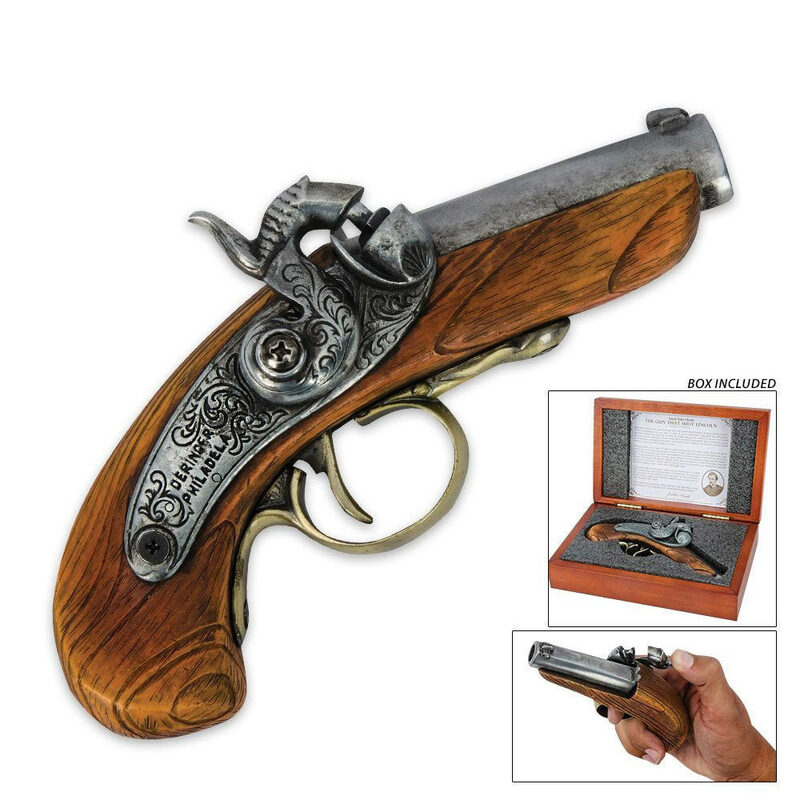 The collectors set features a replica non-firing version of the Derringer that was used to shoot President Abraham Lincoln. The derringer was a small and powerful weapon that was favored for its small size and firing accuracy. A very realistic piece. Got numerous Oohs and Ahhs. I keep it on my desk for all to view. Abraham Lincoln is one of the historical figures that I idolize. When I saw this pistol, something of historical significance to me I made the purchase. The pistol is very solid and of good design. I even like the display box that it came with. I would recommend this pistol.